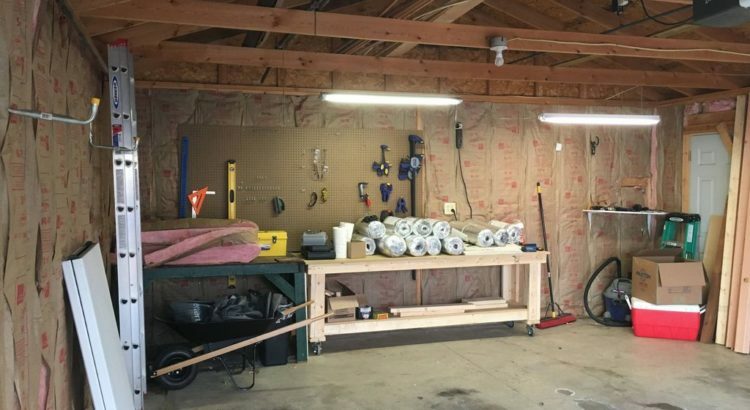 Home > garage > Do I really need to insulate my garage? There are many benefits to insulating your concrete garage, from a more comfortable environment to lower energy bills (something everyone can appreciate). But many homeowners are still wondering whether they need to insulate their garage, as they think that building standards mean you have to, but they don’t. Shared walls with attached garages need to have a particular R-value as well as the ceiling of the garage if there is a room directly above it. But all the other walls, you don’t need anything, and there are no insulation and heating regulations for detached garages either. So, if you don’t have to insulate your concrete garage by law, is there any point in doing it at all? Most definitely! One word that a lot of people throw about is ‘comfort’. This is down to the fact that you’d be a lot more comfortable in your garage if it was a healthy temperature, rather than having blue fingers and shivering whilst doing DIY work. If you’re looking to add a concrete garage to your home – attached or detached, the team over at Dencroft are the ones to call – their friendly staff are always on hand to help. The days where the garage was seen as a simple place to store your car are long gone. The garage is now multi-functional and has the potential to be whatever you want it to be – whether that is something as creative as a man cave or simple as additional living space. Either way, insulating your concrete garage means you can use the space all year round. Although the wall connecting your concrete garage and your house is usually insulated as well as the connecting door, it only keeps out the cold when the door is closed. Every time you open the door from an uninsulated garage, cold air will seep in to your home, making the house colder, increasing your energy bills in the meantime. Some of the biggest investments you will ever make are potentially stored in your garage, whether that be your car, motorcycle, lawnmower, TV or any other pricey item, it’s important that you protect them. Freezing temperatures negatively affect the lifespan of any car – it freezes the oil and screen wash in your vehicle, your engine will run less efficiently and the rubber compounds in your tires will harden. Even items which aren’t valuable such as paints will suffer. The fluctuation between the liquid freezing and then returning to its normal state will affect its quality. Your garage may be used as an area for the kids to go when they have their friends’ round, or a place for a member of the family to practice with their band, whatever its use, a bit of sound insulation is always handy. With an uninsulated garage, you will be able to hear any activity in the garage a whole lot easier.